Looking for fresh apps for your iDevice? We’ve found 87 great iPhone and iPad apps that were released over the last 24 hours. 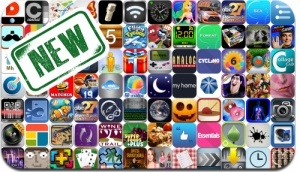 This new apps alert includes Halloween, Big Win Football, JellyBall, Montezuma Puzzle, Drift Mania Championship 2, Cinefy, Frankenweenie, Gameboy Dock Clock, iRingtones Pro, WorkFlowy, and many others.